Цена при нас: 209.00 лв. Кабел за субуфер. Чиста, безкислородна мед. Посребрени накрайници. Екранировка с два слоя метално фолио. ARAY геометрия на проводниците! Clearway Analogue features our unique ARAY conductor geometry. Conductors are high quality oxygen free copper, insulated with FEP and mechanically damped with a specially selected PVC. Shielding is provided by dual layer heavy gauge foil. Clearway Analogue is fitted with Chord VEE 3 RCA plugs, including PTFE insulation between signal/return contacts. The VEE 3 RCA is a low mass RCA plug with direct silver-plating to improve signal transfer. 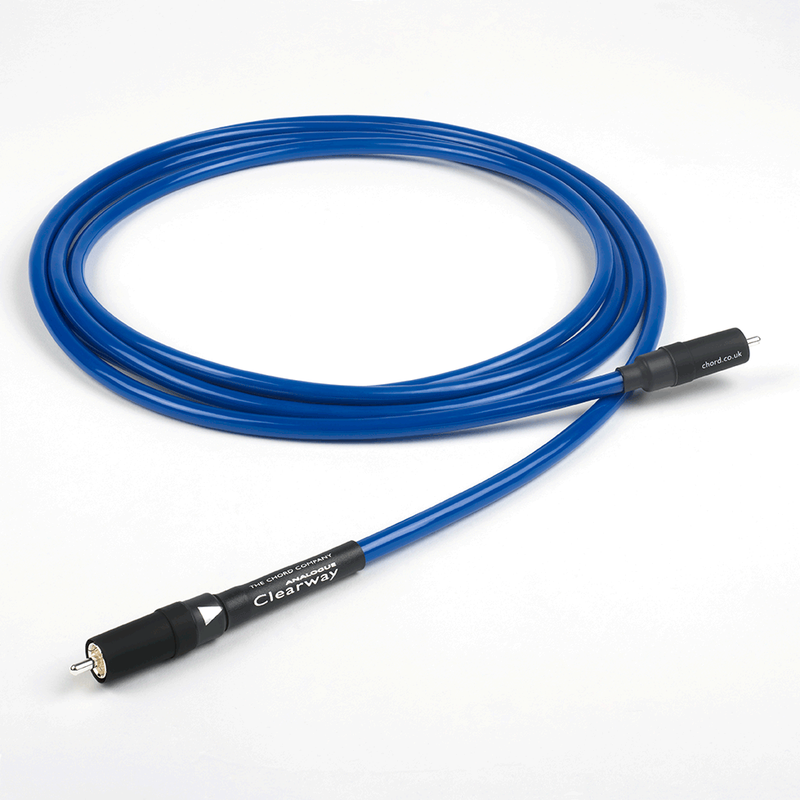 The Clearway Analogue subwoofer cable is available in 3m and 5m lengths. Custom lengths and terminations are available to order. Chord Clearway Analogue cable features unique Chord Company ARAY conductor geometry, developed from the award-winning Sarum Tuned ARAY. ARAY conductor geometry allows us to produce cables that carry high levels of detail and dynamic information. Most importantly, this ARAY conductor cable carries signals with real musical coherence. Every Clearway interconnect is built to an exacting standard and rigorously tested at our UK facility. The Clearway Analogue is part of a range of interconnects and speaker cables, including analogue and digital cables, along with the award-winning Chord Clearway speaker cable.